British and French defense firms have opted out of an International Defense and Security Expo in Tel Aviv this week after failing to gain approval to export equipment to Israel, a source associated with ISDEF told TheMarker. Certain weapons from Western suppliers were made inaccessible to Israel during the 2014 Gaza war. Over the years, many Western countries prevented the export of offensive equipment to Israel, the source said. This situation “affects companies from Germany, Norway, Sweden, Switzerland, Austria and France,” the person added. The weaponry that failed to get export approval includes sharpshooting arms, drone aircraft, ammunition including supposedly non-lethal ammunition such as sponge-coated bullets, and other special ammunition. After experiencing difficulty obtaining ammunition from Western suppliers during the Gaza war in 2014, Israel decided to rely on Israeli-produced technology, the source said. Smaller Israeli producers were given special product development tasks to avoid relying on imported military equipment, they added. “It’s not a matter of quality and price, but rather assurance regarding supply,” Bavli said. Some of them were “not surprised” to discover that no senior Israeli government officials attended the expo. 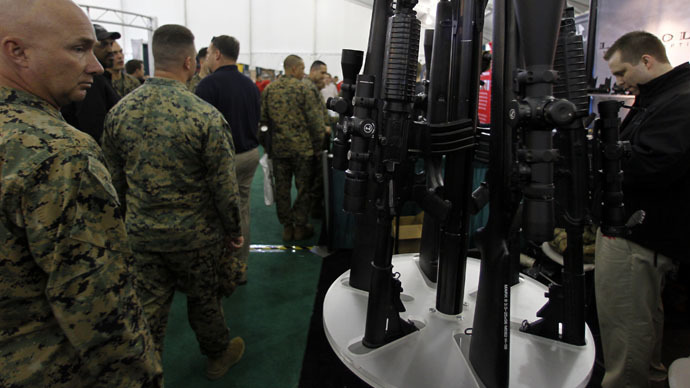 Foreign military suppliers offering other types of equipment are still participating in the defense expo, the source confirmed. The ISDEF expo attracted 4,000 visitors in addition to 250 presenters from 20 countries, 80 official foreign delegations and 12,000 professionals, according to organizers.